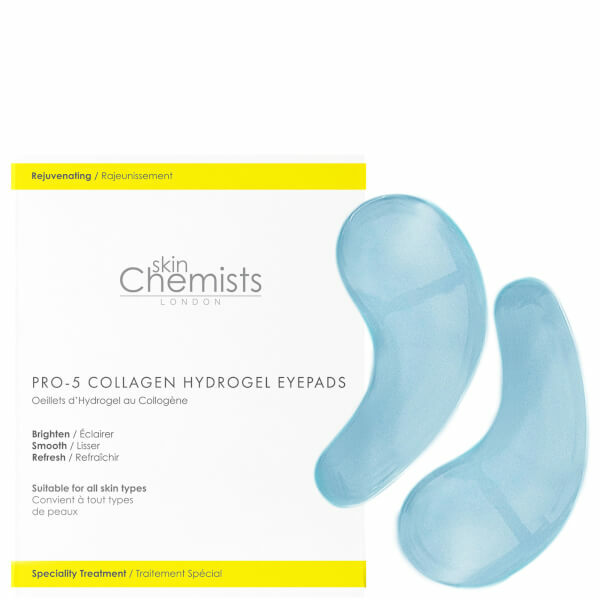 Rejuvenate tired-looking eyes with skinChemists London Pro-5 Collagen Hydro Gel Eye Pads; an innovative weekly treatment that works to firm, replenish and hydrate. 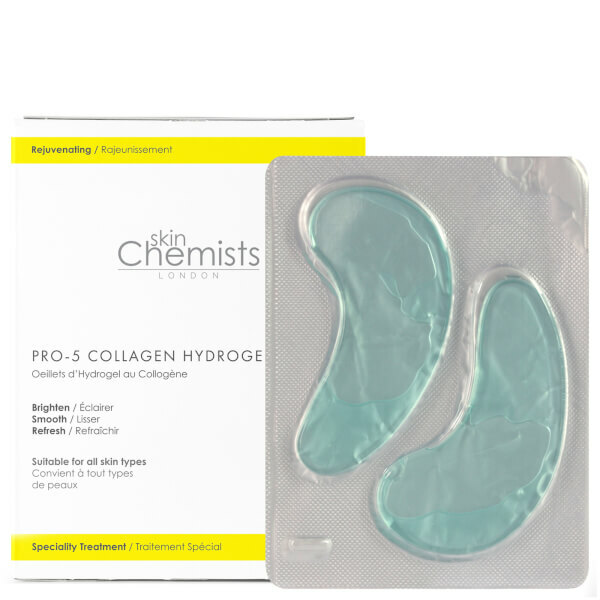 Powered by Collagen and Hyaluronic Acid, the specially shaped pads help to improve the skin's tone and elasticity, whilst delivering a tightening and firming effect for a younger, more lifted appearance. Expect a moisturised, revitalised eye contour with a smooth, refined texture. Apply each pad to the underside of each eye. Leave for 10-15 minutes. Remove and gently massage in any residue. Do not re-use the pads. Use weekly. 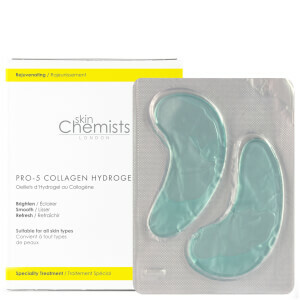 Aqua, Glycerin, Propylene Glycol, Carrageenan, Collagen Amino Acids, Sodium Hyaluronate, Betaine, Panthenol, Saccharomyces Cerevisiae Extract, Rhodiola Rosea Root Extract, Phenoxyethanol, Potassium Sorbate, Ethylhexylglycerin, CI 42090.